Style, distinction, functionality and presence are a few of the attributes that describe these Allavino beverage centers. This top brand's number one goal is to make sure their customers are thrilled with their product for years to come. Avanti has been a leader in the industry for over 44 years. This success has led to the addition of refrigerators in many sized and types in both single and two door models, with contemporary styling. 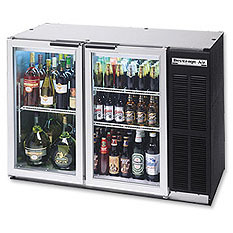 Beverage-Air is a leading manufacturer of commercial refrigeration units. With Beverage Factory's wide selection of Beverage-Air refrigerators, you are sure to find just the right one for your business or home bar. 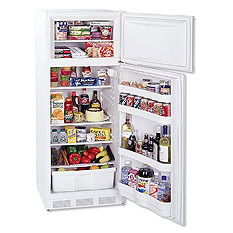 Danby manufacturers are the experts when it comes to cooling and refrigeration. 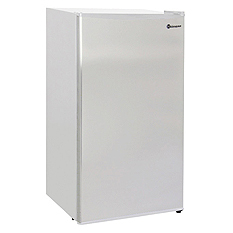 Whether it's a mini fridge or full size refrigerator you seek, Danby is a trusted source for your cooling needs. Engel refrigerators are designed for more than just keeping things cold. A rugged, durable, high performance cooler is the focus of this brand's mission. Great for sporting events, camping, fishing/hunting, and any time a tough cooling unit is required. Good food starts with the greatest of ingredients, meaning the freshest of the best. With Everest, freshness is not a bonus, it's a guarantee, so you provide the best ingredients and trust Everest to keep them fresh! Hoshizaki America is a name synonymous with quality, innovation and reliability. Hoshizaki's innovative designs mean a worthwhile investment that will last for a long life. 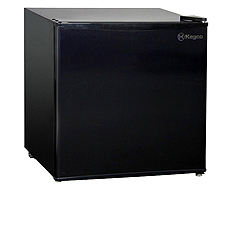 Available before, during, and after purchase of your refrigerator, Kegco's core focus is to produce solid products that are practical, functional, and visually appealing while creating a strong bond with customers through top notch customer service. 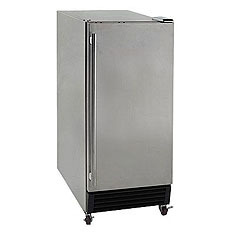 Ease of portability and durability are the focus of Koolatron's line of refrigeration and cooling systems. 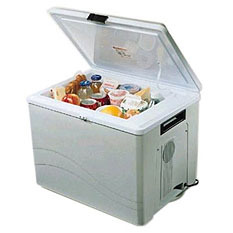 Find a cooler for your next sporting event, parade, or backyard barbeque in this selection of Koolatron coolers. The oldest refrigeration company in North America, Marvel began in 1892. Now, up to 40% more efficient, Marvel's Refrigerators are engineered with the most precise temperature cooling performance and fastest cool down times. Satisfy a small footprint with Perlick's 15" fridge, integrate a medium cooler into your kitchen island, or store meats and veggies for the grill in outdoor refrigerator drawers. 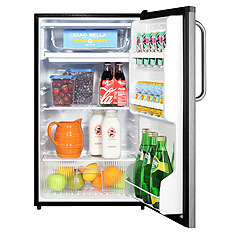 Whatever your cooling needs, Perlick has the luxury refrigerator for you. With selections from slim-fitting counter depth fridges to professional drawer refrigerators, outdoor refrigerators to compact apartment size coolers, Summit is the answer to small kitchen refrigeration. U-Line's large and flexible refrigeration capacities and seamless integration capabilities preserve the right product, in the right place, at the right temperature.